Starting a goat farm can be enjoyable, lucrative farming experience as long as you are well prepared. I would suggest you educate yourself first before starting a goat farming business. You can’t just open up a goat farm overnight you will need to learn about goats and their rearing process. If you want to open your own goat farming business you can follow few methods that I am about to share with you. Before you start your goat farming business you need to select suitable breeds which will help you goat product you want to produce. 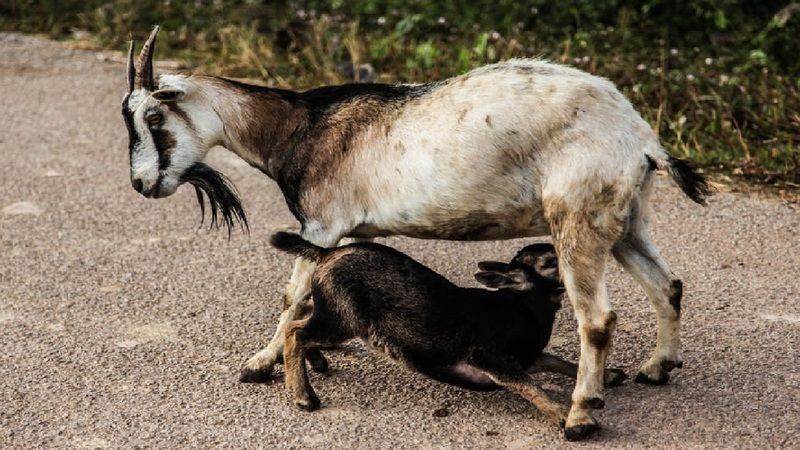 You may produce meat, milk, fiber or skin from goats. You can sell your products at your local market. Now you can proceed on selecting the perfect breed for your business. You need to have an adequate amount of knowledge to start a goat farming business. So you will need to train yourself. Try to contact any livestock rearing training center in your area and complete a training on how to farm your goats. The training will help you gain practical knowledge about the goat and their rearing methods. And get some essential and basic goat caring tasks like goat diseases, performing goat health check, required space in their house, feeding, health management, caring kids and caring pregnant goats. Try to read lots of books on goat farming. You will be needing types of equipment and necessary things. Before entering the goats in, keep your pieces of equipment ready. You will need to buy goats, fencing, housing, separate barns for both does and bucks, silage pit, bet and etc. Make a house for your goats. Your goats will need shelter in winter and rainy days. Remember that goats hate rainy days let not the water enter the house. But apart from that goats are the kind of animals that can adapt themselves to all kinds of environment. You can keep them with other livestock animals or in small pole barn they will happily stay there. You have got to make sure that there is sufficient amount of space to let sunlight in and fresh air to flow. Clean the house by putting proper drainage facility inside the house. Make a pasture by fencing your land with wire or net. Goats are animals that are not friendly so if they get the chance they may run away. Buy bucks and does both. But I would suggest you buy one buck and several does. Buy healthy disease free goats. Breed your goats. You will breed the doe with a buck once he does have reached breeding age. When they go into heat keep them in a buck’s room for several days. The gestation period a doe is around 145-155 days. Take good care of your goats and feed them fresh and healthy goat food enriched with all kinds of nutrition ingredients. This way your goat production will grow, the goats will stay healthy, productive and disease free. Feed them sufficient amount of clean water. You can market your farm by letting people know that are providing goat milk, meat or skin. Putting up ads may help you get some customers, but in this case, these sorts of ads are only read by few. But there is no harm in doing so. Sell you necessary products in the market near you. Calculate how much you will need to start up your goat farming business. In the first year, you might be in a little loss because you will have no milk, you will need to breed the goats and so on and so forth. But by the second year, you will definitely get high product and profit from your business.